Ahrefs is a set of online tools designed to help you grow your search traffic and analyze your website and see its strengths and weaknesses in both content and SEO. It provides data for keyword research, niche monitoring, and even research your competitors so you can see why they’re ranking high and what you can do to outrank them. In this post we’ll be taking a look at what’s possible with their Standard plan. When you first log in you have to provide your website information, enter keywords that you want to track, enter your competitors, and monitor specific mentions. You can upload your keywords as a text or CSV file. Enter your keywords, add them to the list, and add a location to track. 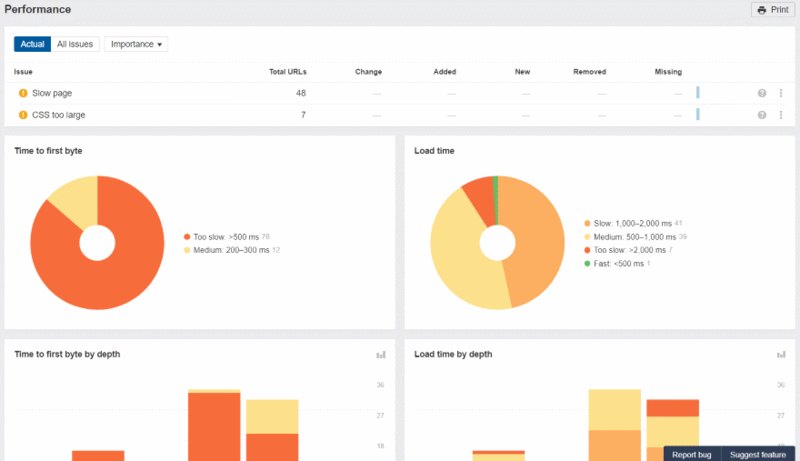 You’ll go through this setup for every project you want to track. Once I entered my website I was given a list automatically that shows the keyword I rank for, position, monthly search volume, and the URL that ranks for those keywords. You can filter them using custom ranges and you can search them. 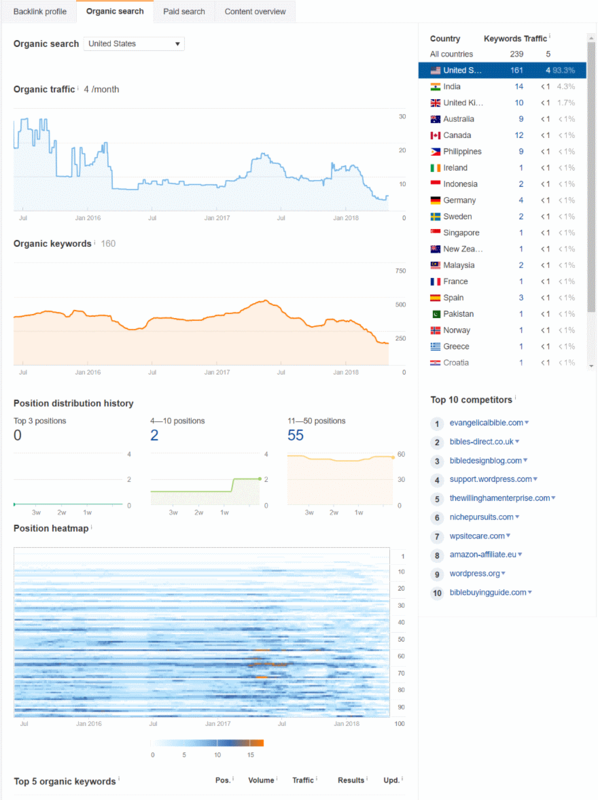 The dashboard shows a screenshot of your website, gives you an Ahrefs rank with a chart for the past 30 days, and shows your domain ranking, URL rating, number of backlinks, referring domains, number of organic keywords by country, and the tracked keywords with your ranking. You can get several of these as email alerts. Hovering over them provides even more information. Clicking on them takes you to a chart for that data point. They often show you related data so you can research further. You can use this for your own site or any site you want to track or compare. In the example above I’m tracking WordPress.org and WordPress.com. Overview shows you a lot more detail. It shows some of the same info as the previous screen (using different charts), but adds organic traffic and traffic value. Under this is a detailed list of charts which include Backlink profile, Organic search, Paid Search, and Content overview. The sidebar includes links to more detailed charts. This is the Backlink Profile. This is a snippet of what the Backlink Profile shows. It provides charts with your rank, referring domains, referring pages, new and lost referring domains, new and lost backlinks, CTLD’s distribution, an anchors cloud, anchors phrases, and anchors terms. Each element on each chart is hoverable and you can get more information and full reports sent to your email. To the right you can see information for follow, no-follow, etc. Organic search shows an interesting heatmap with organic keywords. Other charts show your top 5 organic keywords, top 5 pages, etc. Movements (under Organic Search in the sidebar) shows where your position has changed. It includes your monthly traffic and total results for the keyword. 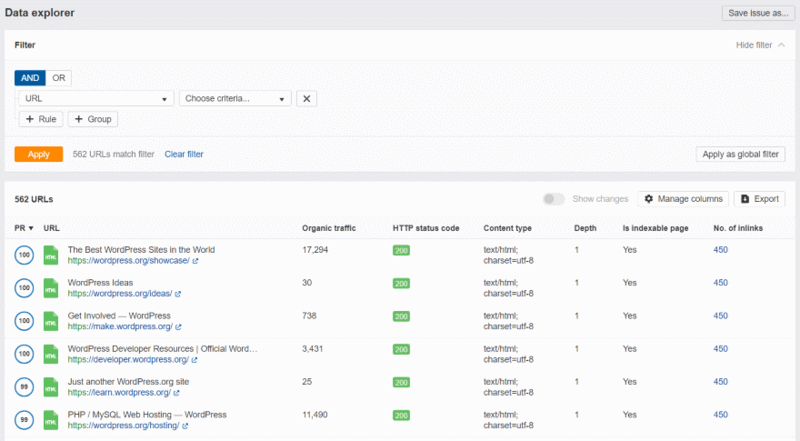 Content overview shows your most popular content and provides the number of referring domains, traffic, and social shares. This is good information to research about your competition. The content explorer lets you find what content is being shared on any topic. Enter the keyword and choose everywhere, title, or content. I searched for Divi Gutenberg and found several interesting articles (my website was number 13 on the list, woohoo!). It provides a thumbnail image, title, URL, snippet, number of words, author, publication date, social shares, and domain information. This is an excellent tool to see what topics are popular. You can see the number of results, shares on social media, and who the competition is. Here you can list all the keywords you want to research. It also shows a list of your keywords and the history of your searches. This is one of my favorite tools. 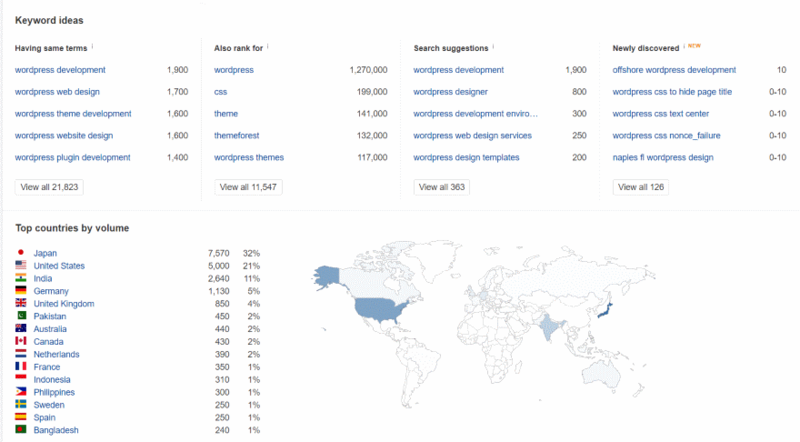 I search 4 keywords about WordPress. 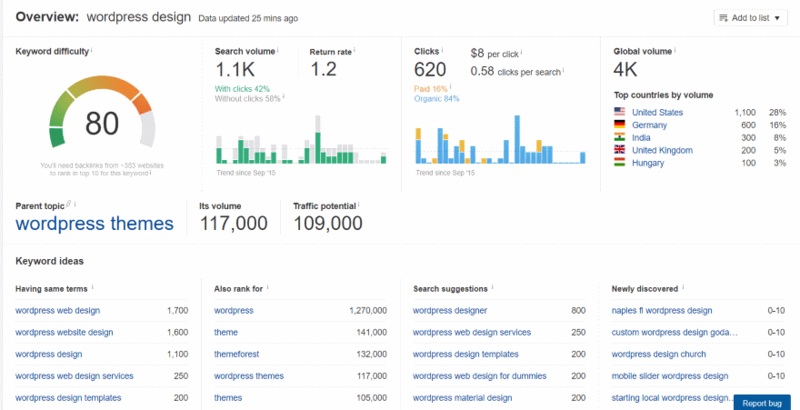 The overview shows the search volume, total clicks, volume distribution, and difficulty distribution. This is the overview for all four keywords. 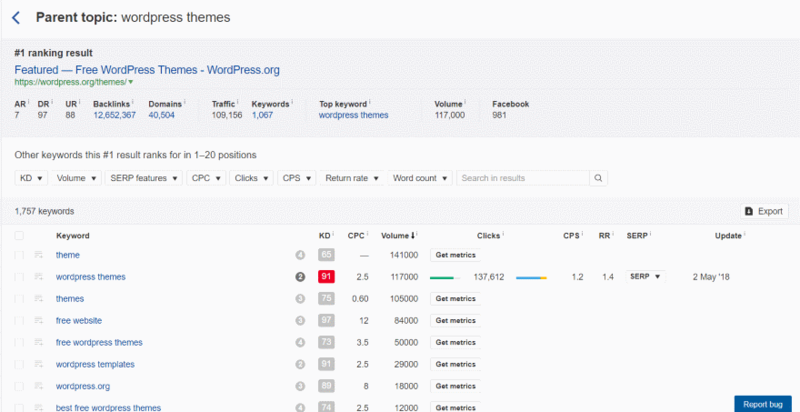 You can also dig deeper into each keyword (which is more valuable). 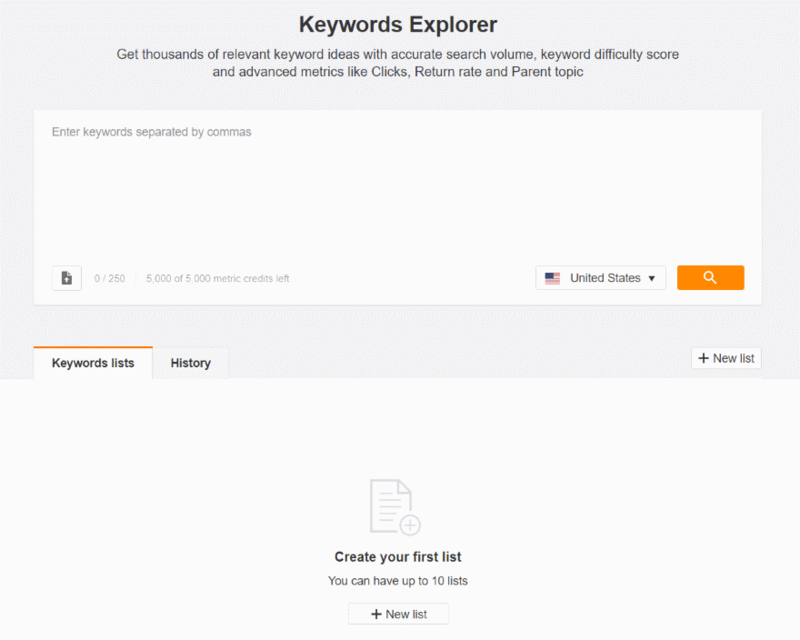 Keyword ideas shows keywords that use the same terms, other keywords that the top ranking pages ranked for, suggestions to search for, and newly discovered keywords. You can also see top countries by volume, traffic share by domains, and traffic share by pages. This is one of the most useful tools because I don’t always know what other words to search for and this does it automatically. Metrics gives you the details by each keyword. These are the 4 keywords that I searched. It shows the keyword difficulty (how hard it is to get into the top 10 on Google), cost per click, search volume, number of clicks, clicks per search, return rate, parent topic, search engine results page, and the date the keyword search results were last updated. Clicking on a specific keyword provides you with detailed charts about the keyword. It also shows search volume, return rate, clicks, prices, and global volume. Under this is the parent topic with its volume and traffic potential, followed by keyword ideas, SERP position history, and a SERP overview which includes the highest ranking pages. This is excellent for seeing information about your competition. Clicking on the parent topic provides you with the number one rank result and a list of keywords to research even further. 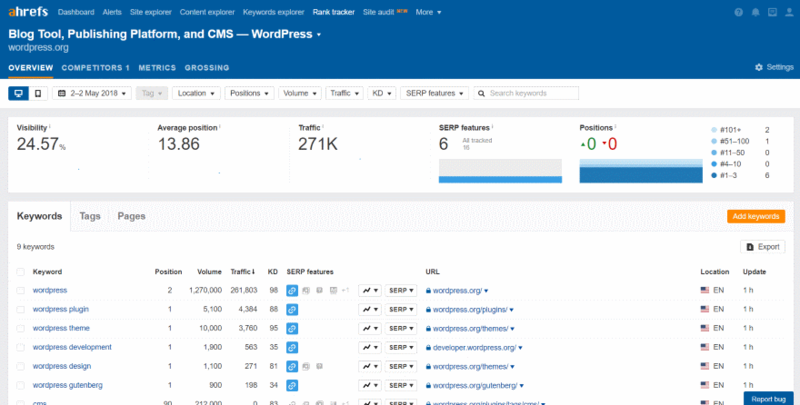 The rank tracker shows the website’s visibility, average position, organic search traffic, number of SERP features, and the number of keywords that have changed position. Under this is the keywords that I’m tracking along with the tracking data. You can also see tags and pages. Here’s the list of pages that rank for the keywords I tracked. It provides the number of referring domains, traffic, average position, number of keywords, top keyword, volume, and position. 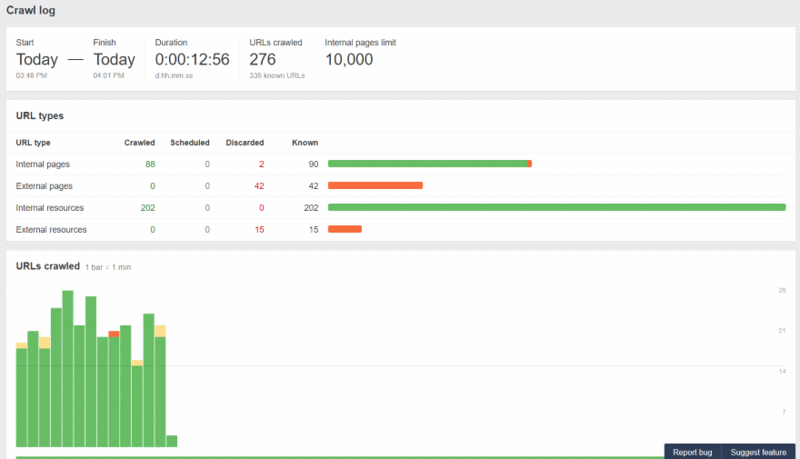 Site audit is a new tool that crawls and scans your website for SEO issues. Here you’ll set up the project which will include some crawling data options. You can schedule the crawl for daily, weekly, or monthly and specify the date and time. You can also have it to crawl any time you want by clicking the button manually. Overview provides a health score and shows the content types, status, etc. You can also view the data explorer, crawl log, reports, resources, and external pages. The Crawl Log displays the start time, duration, URL’s crawled, and the internal page limit. 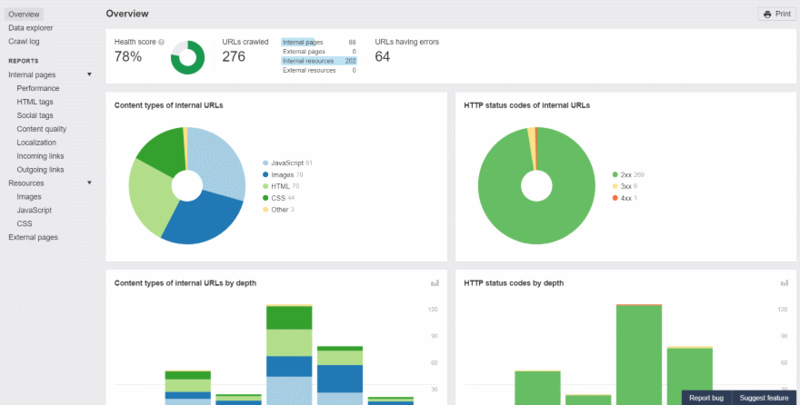 The URL types show internal and external pages and resources with the number of crawled, scheduled, discarded, and known pages. It also displays the latest URL’s with the time, status, content type, load time, size, outlinks, and URL. Performance shows the page speed including time to first byte and load time. You can analyze the data in the Data Explorer. It shows the traffic, status code, etc. It also includes a powerful filtering system where you can use Boolean searches with information type, criteria, and adds rules and groups. One issue I had was that it crawls EVERYTHING including cache, CSS minification files, etc. Having complete information is better for data analysis, but it takes a while to perform the crawl, even on small websites. It does provide a lot of information and include lots of filterable charts and graphs. 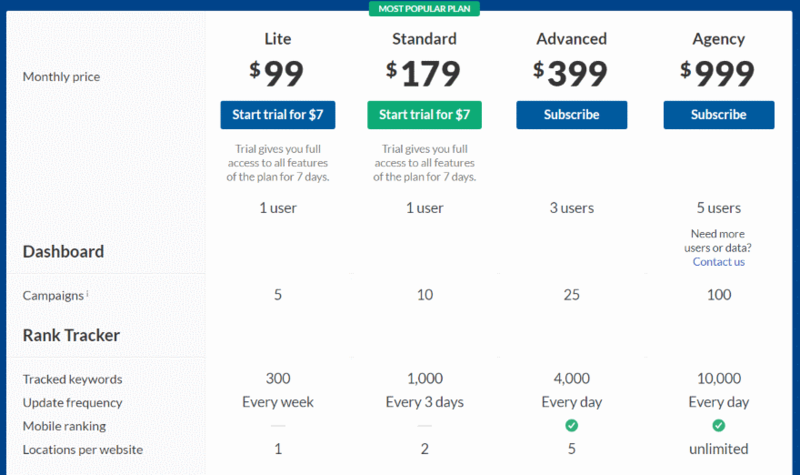 You can get a 7 day trial for $7 to see if this is something that would work for you. You can see more information and sign up at Ahrefs.com. Ahrefs is a complex tool but I still found it intuitive to use. Everything that’s clickable has a tooltip and there is lots of training if it’s needed. 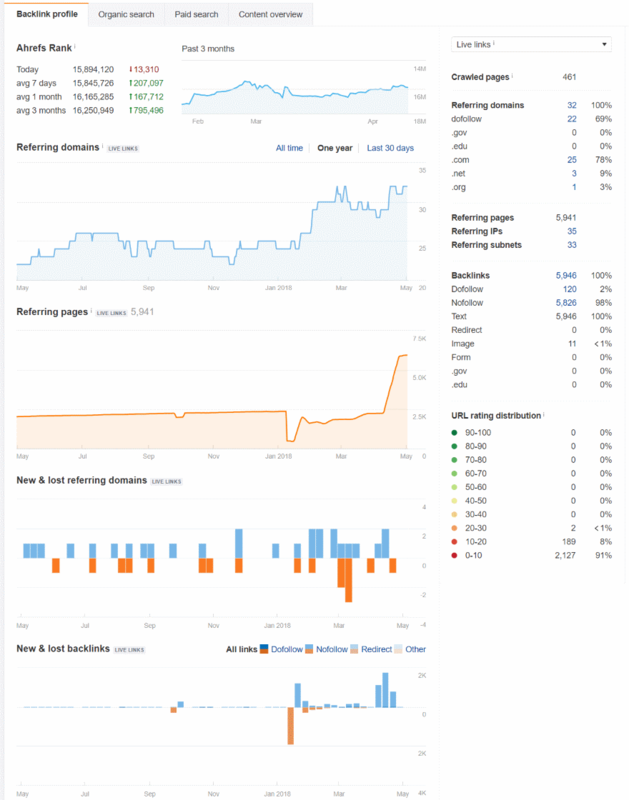 For my small site it builds all of the charts and graphs instantly. The only time it has to gather data is when I did a site crawl. Everything else was already there. Larger sites took longer to gather data. Ahrefs is great for deep analysis and research. There is so much data that it can take some time to dig into it, but you can also see lots of useful information at a glance. The suggested data points, such as related keywords, are great for expanding your research and digging deeper. It shows a lot of information about your website, traffic, and your competition. It also includes domain comparisons, an SEO toolbar, apps, training, and lots more. It’s a little pricy for hobby businesses or websites that don’t really need traffic to survive, but it’s an excellent tool for businesses that rely on web traffic or ranking higher. It offers a lot of valuable information for that expense. If you’re serious about ranking this is the kind of research tool you need and ranking higher for your keywords can be worth that expense. If you’re serious about data analysis and need power research tools, Ahrefs might be the tool you need. We want to hear from you. Have you tried Ahrefs? Let us know about your experience in the comments below. I’d like to hear your comments comparing Ahrefs tools vs Yoast SEO vs Google Analytics so I can understand Ahrefs in relation to common available tools/plugins. As for the Yoast SEO and Google Analytics, you cannot spy on your competitors. 1. which ones are hitting the first page. 2. compare and contrast the pages according to their PR, DR, Backlink and social share profile. 3. Find the backlinks and analyze, do the same if you can. How does Ahrefs compares to MOZ? How do you think it compares to SEMRush? There is a free version that is suitable for some research and getting started. For those who need to get down to the finite detail of SEO, Ahrefs is the choice hands down. 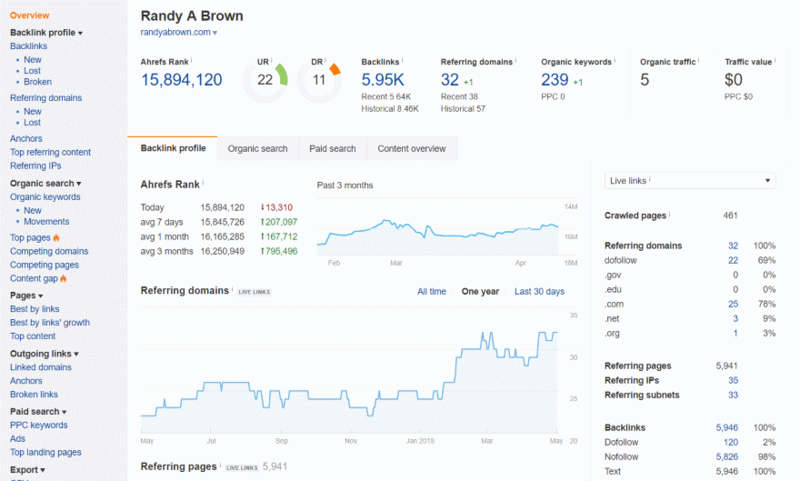 The data isn’t as pretty as Moz or SEMRush, but way more detailed (In my opinion). We do find ourselves recommending Moz and SEMRush to clients at certain times, but if a client needs to make a serious dent in their market verticals, we push them in the direction of Ahrefs, not being an affiliate for any SaaS companies. Just my 2 cents. Thanks for the great read. I’m using MOZ right now, and I just like how it works .. What does Ahrefs do better than MOZ? What do they consider “a campaign” as far as pricing? A website?